Leeds United's new head coach Marcelo Bielsa. 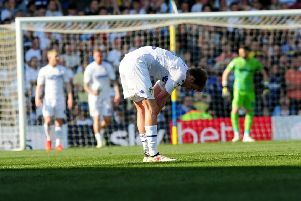 It is fair to say the jury is very definitely out on whether Leeds United’s summer will deliver the success the supporters crave. More management upheaval has left the Whites starting over again so there is a feeling of stepping into the unknown once more as their new Championship season kicks off this Sunday with a home game against relegated Stoke City. There has to be a gamble element to bringing in Marcelo Bielsa (pictured above) as the new head coach, bringing with him a new mindset on the game that could just put Leeds ahead of the game or may have them falling flat on their face in the rough and tumble of the league they are in. Big successes and failures are on Bielsa’s CV to hit home the point that accurately predicting which end of the table United will be featuring is a precarious business before a ball has been kicked in the Championship. He is going to be working with largely the same squad as Paul Heckingbottom had so it will be interesting to see if he can get more out of these players than his predecessor did. United have struggled to bring in the quality players they were looking for in the early part of the summer transfer window with several potential deals falling through, although the last few days has brought more signing success with the signing of left-back Barry Douglas from Wolves and striker Patrick Bamford from Middlesbrough. Both will improve the first team. A number of players have left the club on loan or permanent deals, but of those only talented young midfielder Ronaldo Vieira will be missed after he was transferred to Sampdoria for roughly the same amount Bamford was brought in for. Whether it was a big mistake to let go of the England youth capped player time will tell, but it appears from pre-season that he was only going to be a fringe player in Bielsa’s team to begin with. Leeds are still in the market for more additions and look thin in centre-back positions so the summer’s business appears not to be over just yet, adding to a feeling of nervousness ahead of the big kick-off. United will certainly not be short of backing as evidenced by a huge crowd of over 30,000 set to attend their first fixture against a Stoke team down from the Premier and loaded with some quality signings.